Terraform can manage existing and popular service providers, such as AWS, as well as custom in-house solutions. It uses configuration files to describe the components necessary to run a single application or your entire datacenter. It generates an execution plan describing what will happen to reach the desired state, and afterwards executes it to build the desired infrastructure. 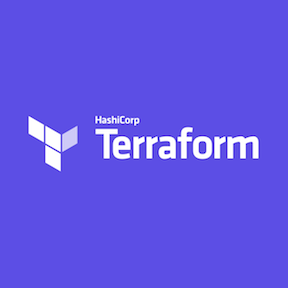 As the configuration changes, Terraform is able to determine the changes and create incremental execution plans which can be applied. The infrastructure Terraform can manage includes low-level components such as compute instances, storage, and networking, as well as high-level components such as DNS (Domain Name Service) entries, SaaS (Software as a Service) features. Terraform module for creating alarms for tracking important changes and occurrences from cloudtrail. A Terraform module to create an AWS Application Load Balancer (ALB) and associated resources. A Terraform module to create an Amazon Web Services (AWS) EC2 Container Service (ECS) cluster.